Inertia magic trick, illustration. 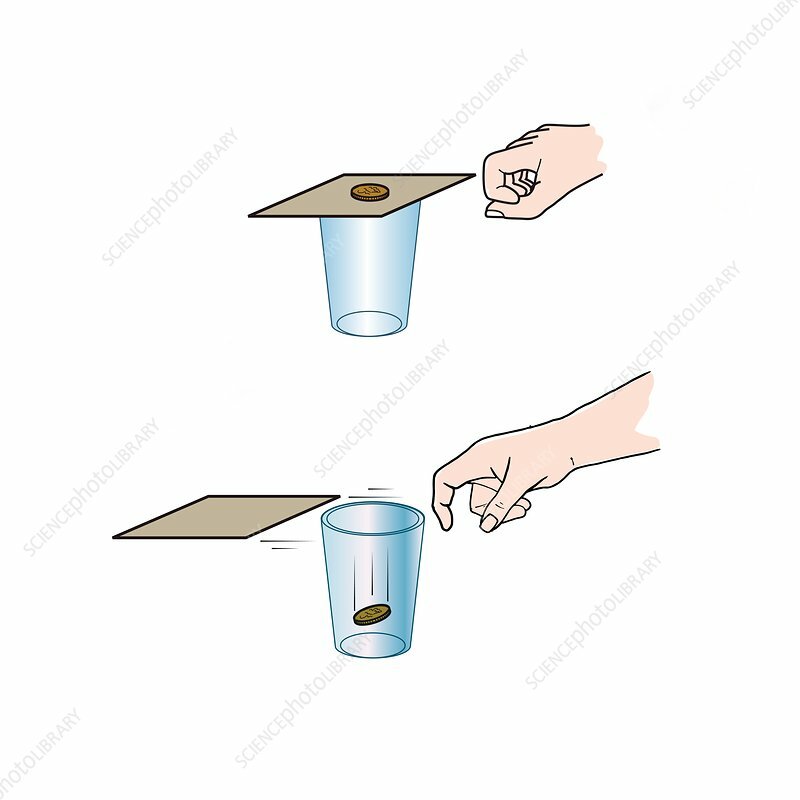 Flicking the card makes the coin on it fall directly into the glass. This trick is used to demonstrate the physical law of inertia. This law was defined by Isaac Newton as the tendency of an object to resist a change in motion, unless acted on by an external force.